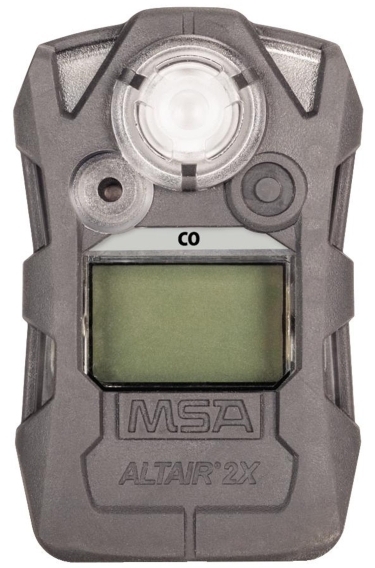 The MSA Altair 2X is the first gas detector to use industry-leading XCell sensor technology as a one or two gas detector. This technology gives the user unrivalled performance, increases durability and sharply reduces the total cost of ownership. XCell Pulse Technology is another revolutionary part of the MSA Altair 2X. The MSA Altair 2XP detector delivers the world's first stand-alone bump test, based on proven science and advanced patented sensor capabilities. This feature allows for a bump test to be performed daily, without the need for a specific calibration gas or calibration accessories. The bump test provided by the Altair 2XP Gas Detector is so easy to follow, that anyone from anywhere can do it. The face of portable gas detection is set to change forever, as this brand new science provides first-of-a-kind technology. A simple flow check is combined with pulse sensor interrogation, creating the first successful stand-alone bump test. The Pulse sensor interrogation begins, exhale into the unit. The result is that you are bumped! The need for a second detector is eliminated with the Altair 2XT detector, using proven XCell Two-Tox Sensors. Two gases are detected by the XCell Two-Tox Sensors on distinct sensor channels with digital output. This reduces cross channel interference. XCell Sensor Technology made by MSA Safety has revolutionised gas detection. The sensor's conrolling electronics are miniturised and placed within the sensor itself, using MSA's proprietary application-specific integrated circuit (ASIC) design. The XCell sensors used in the Altair 2X offer superior stability, accuracy and sensor life. Standard Warranty - Chassis & electronics: 3 years, Cl2 & nh3 sensors: 2 years and all other sensors: 3 years. Does not cover consumable parts.